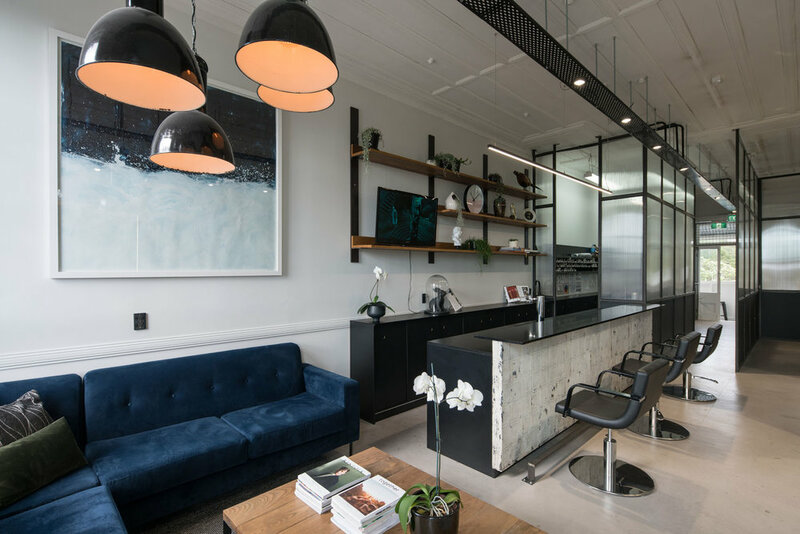 Set in the idyllic and iconic high street of Parnell, ASC Salon, founded in 2016 was intentionally created as the quintessential lounge like environment, (a home away from home), designed specifically to give the perception that relaxing is the thing to be done during your time with us and that is exactly what we want you to do! Co-owners, Stephen & Andrea Cockle are veterans to the hairdressing industry both starting their careers in this industry back in 1995. Both working here in Auckland, with a seven year tenure in London, both are armed with extensive knowledge and strive to give nothing but the best experience and skill to each of their clients. Experts in our industry and passionately committed to on-going training and development of our team, we strive to deliver on not only a great experience but also an expert knowledge and execution of cutting & colouring. Our business ethos reflects our love for our planet and community, therefore we aim to be as sustainable as possible through all of our business and personal practices. Choosing and sourcing products that are ethical, sulphate, paraben & cruelty free, to housing our monthly magazines on iPads.